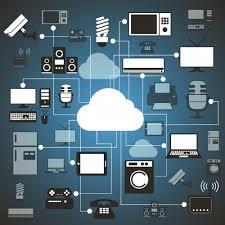 Building the Next Big Thing Will Require Cloud Based Systems To Manage IoT Technology. Every few years there is a new “next big thing” in the fast-changing computing industry. Sometimes these “next big things” have proven to be fads or simply repackaged versions of what has come before. But sometimes the latest craze is worth paying attention to because it signals a more significant shift to new capabilities and applications that will have a more profound impact on our lives. The internet of things (IoT) is today’s “next big thing” – certainly if column inches in the media are anything to go by. But let’s be clear, this doesn’t mean yesterday’s “next big things,” like the cloud, are going away. Cloud is the vital infrastructure for a host of applications. It is tough to imagine our current lives without cloud computing, and the cloud is the technology infrastructure (along with electricity itself) that literally keeps the world working, communicating and learning – and therefore, the IoT needs the cloud to reach its full potential. By themselves, connected devices could be an administrative and maintenance nightmare. With millions or billions of such objects on the Internet, many of them very small and low-end, it’s largely impractical to design systems around a point-to-point architecture. If a smart object needs to interact with half a dozen different services, and a service needs to interact with thousands or millions of devices, it’s hard to imagine them all contacting each other directly with any great success. It’s particularly daunting to imagine how each device will be administered and updated. If we want to allow each device to have a single “home base” server, and if we want to minimize the permanent state and data maintained on each device, the cloud is the obvious point of convergence. The natural way to connect devices, or things, and services, is via the cloud. Each device can have a single cloud-based service to which it delivers its data, and from which it takes its configuration information. Then, an arbitrary number of services can interact with that same cloud service to access the data provided by the device. By minimizing the complexity of the devices, we not only make each easier to administer, we also make it easier for everyone to build more services, of increasing complexity and value. These services make use of the information in the connected network via the cloud. The part of a smart object that interacts with the cloud can be made extremely generic, and therefore relatively easy and inexpensive to manage. If we’re really moving toward a world with billions of intelligent, internet-connected smart objects, it’s absolutely vital that we make each as self-sufficient as possible. That means keeping configuration to a minimum and moving complexity to the cloud. This has been one of the secondary benefits of the cloud for office technology, but will be a primary benefit for the IoT. Connected objects or things don’t need to know much more about the internet than how to upload and download data and configuration information. It’s hard to see a rationale for doing that with more than one service. The bottom line is that services that make use of the IoT are likely to be almost entirely cloud-based, making it hard for each service to utilize applications and data not already in the cloud. With this in mind, step one is to make sure that all your important data and services are available from the cloud, which will save you time and money, while better positioning you for the IoT of tomorrow. For once, the best path is the path of least resistance. Stragglers still resisting cloud computing must move fast if they don’t want to find themselves two full generations of technology behind.